One of my favorite things to do is search through piles of old things in book and antique stores. They always say one person’s trash is another person’s treasure, and it’s true! Now, I’m no dumpster diver (okay, my old roommates and I salvaged awesome and perfectly usable furniture for our old apartment. Hey, living in Southern CA ain’t cheap! 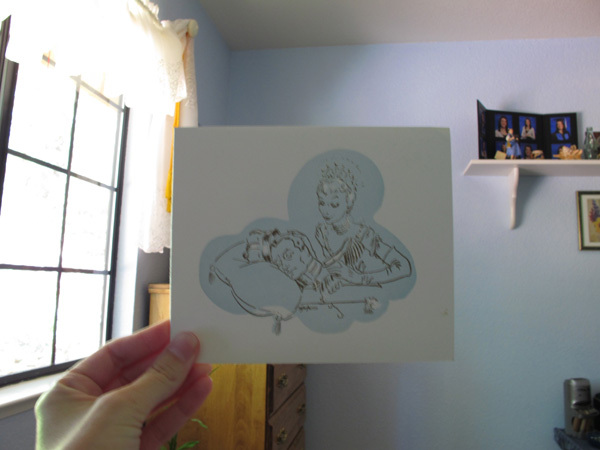 ), but I’ve found some really neat things going through stacks of paper goods in old, musty stores. This was found in a fantastic little emphemera shop in Charing Cross Road in London. I had stumbled across this place while doing a summer abroad in Sussex; I had taken the train up to London for the day to meet a friend and had some time to kill, so I just started wandering and there I was. 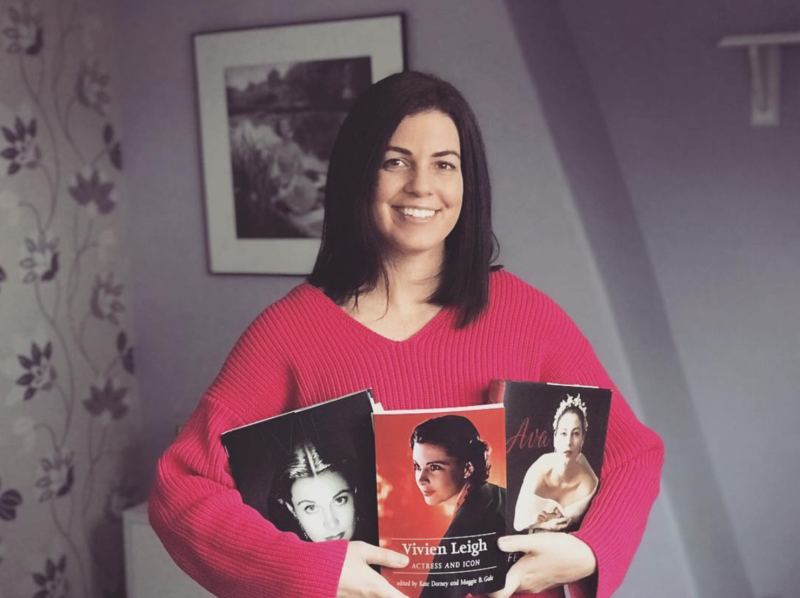 I made a mental note about the place since the owner had some pretty interesting treasures, and when I went back in February 2009, I stopped in again, this time with my friend and fellow Larry and Vivien fan, Kasia. This store is the kind of place that has books piled up everywhere, and it takes a minute for the owner to remember where he’s put things. I started going through an old shoebox full of playbills when I came upon this white envelope. Opening it, I found this! It’s the Oliviers’ annual Christmas card from 1953, designed by Roger Furse (known for doing the art direction and costume design on Hamlet, among other films and theatre productions). 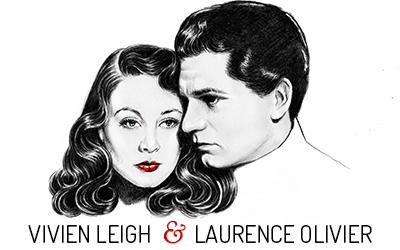 The design on the front features Laurence Olivier and Vivien Leigh in The Sleeping Prince. 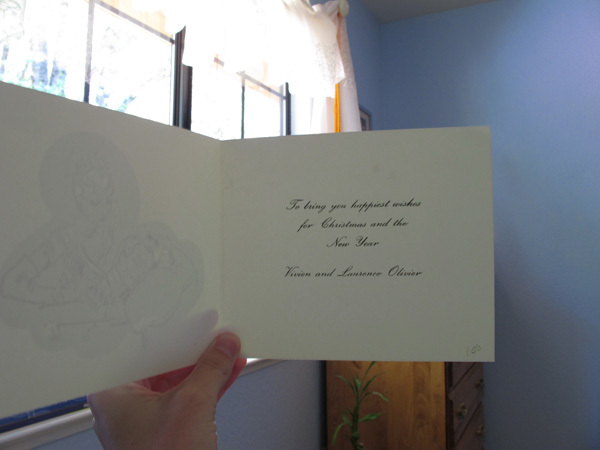 The inside shows a message from Larry and Vivien that reads: “To bring you the happiest wishes for Christmas and the New Year, Vivien and Laurence Olivier”. This card has been one of my favorite finds so far. It was a bit pricey, but I felt it was worth it! Talk about an amazing find! That is awesome. That is so cool! I was in England a few years ago and I stopped at an antique store somewhere around Stratford. I looked for some Viv and Larry memorabilia but I was not as lucky. I have found some great classic movie items in antique stores. antique stores are the best! !